In 1977, a young boy named Ben (Oakes Fegley), still mourning the death of his mother (Michelle Williams), is struck deaf by a freak bolt of lightning while trying to unravel the mystery of his father's identity. Undeterred, but unable to hear, he sets off for New York City with the only clue he has, an inscribed bookmark found in a book in his mother's old room. Meanwhile in 1927, a young deaf girl named Rose (Millicent Simmonds) spends her days at the cinema, gazing at her heroine, silent film actress, Lillian Mayhew (Julianne Moore). In the silent pictures, she needs no sound to understand the story and the emotions, and she loses herself there daily, until sound comes along to sweep away the world into which she can escape. So she too sets out to New York to find her long absent mother. Along the way, her story begins to intertwine with Bob's eventually converging in an unexpected. Todd Haynes has always been an experimental filmmaker, willing to push the boundaries of the form to expand the narrative and its its thematic core. In his latest film, Wonderstruck, he does just that, but perhaps to lesser results than he's achieved in the past. It's a fascinating pastiche, utilizing silent film techniques in the scenes set in 1927, and capturing a distinctive 1970s flair with the help of his usual cinematographer, Ed Lachman, in the scenes set in later years. As the two stories mirror and converge, Affonso Gonçalves' sharp and perceptive editing beautifully and at times seamlessly, combines them into one story, united by blood and common experience, while Carter Burwell's lovely score pulls it all together. As a technical achievement, Wonderstruck is consistently dazzling, but it's almost too dazzling. Haynes' craft here is so precious, so precise, that it holds the audience at a distance, in awe of his creative vision but left cold by its emotional center. The family connections between Ben and Rose, feels more inevitable than disarming, and the resulting reunion and never quite has the impact that it feels like it should. 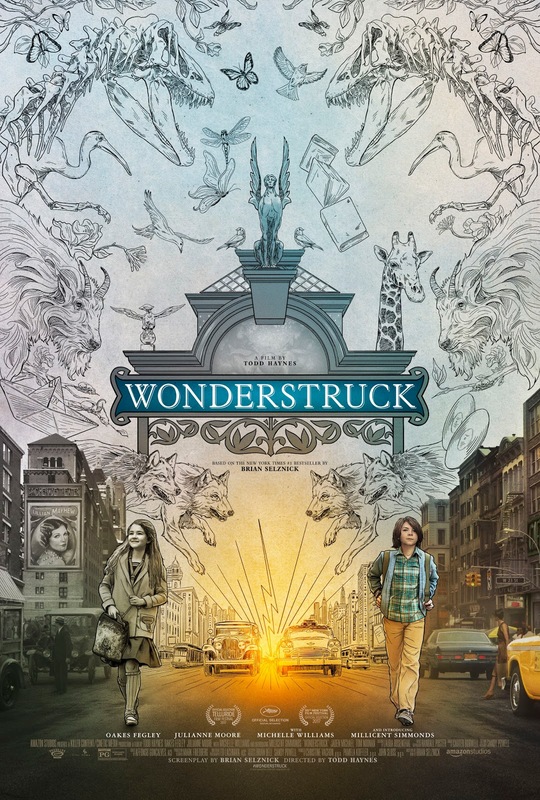 Haynes is a master craftsman, and there are parts of Wonderstruck that left me breathless, but I was surprised by how un-involving I found the narrative itself. Screenwriter Brian Selznick also penned the source material for Martin Scorsese's Hugo, which was perhaps a perfect marriage of filmmaker and subject; a breathtaking ode to film preservation that struck a chord with me. Wonderstruck, on the other hand, feels far more removed from its emotions, hampered by an uneven structure that fraught with awkward pacing. "We're all in the gutter," Ben's mother tells him, quoting Oscar Wilde, "but some of us are looking at the stars." Haynes shoots for the stars, all right, connecting non-hearing protagonists to a world of sound, and unleashing the wonders of a purely visual world. While it is certainly ambitious, and undeniably beautiful, its style often feels divorced from its narrative, losing itself stargazing when the story required something more personal; a solid grounding in human emotions rather than cinematic trickery. 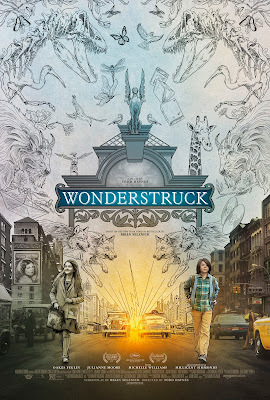 WONDERSTRUCK | Directed by Todd Haynes | Stars Oakes Fegley, Millicent Simmonds, Julianne Moore, Tom Noonan | Rated PG for thematic elements and smoking | Now available to stream online exclusively at Amazon.com.